> Alte Landkarten und Stadtansichten>Europa>Grossbritannien und Irland>Schottland>Nordschottland>Scotia Septentrion. 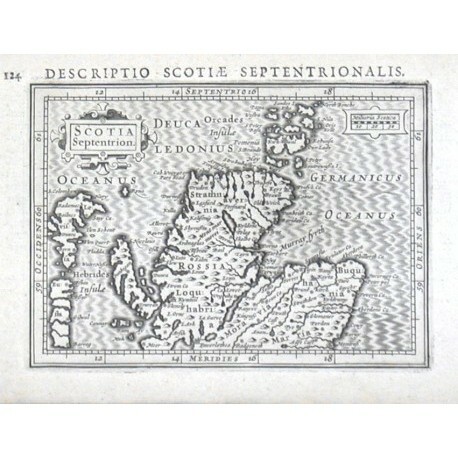 "Scotia Septentrion.". Copper-engraving by P. Bertius published by J. Hondius, 1616-18. With small ornamental cartouche, the scale of map ("Miliaria Scotica") and Latin heading-title. 9,5:13,3 cm. Koeman III, map 5801:342, ed. 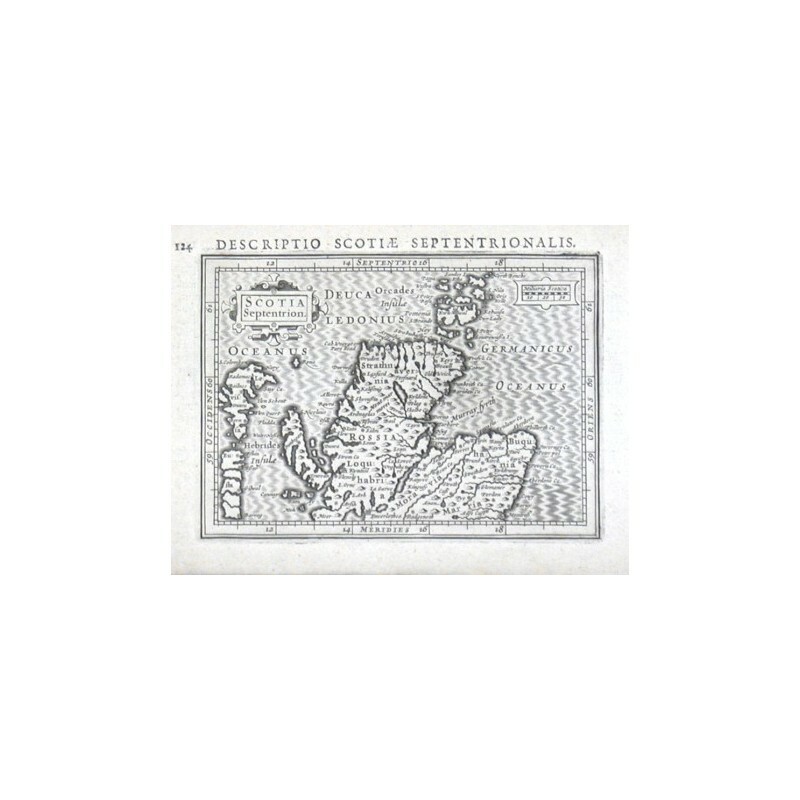 342:01 - A miniature map of the northern part of Scotland.